The trailblazing Wainwright family has been sharing the unique natural attractions of the Kimberley for more than 30 years. Paul Wainwright and Dad Bob were two of the first non-Indigenous Australians to explore the region in 1983. 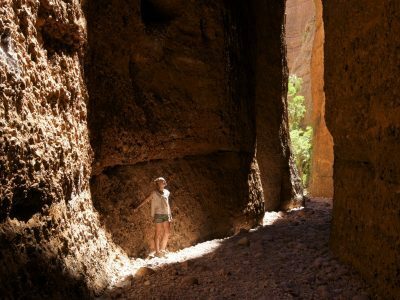 Today, their East Kimberley guided tours continue to take visitors on an unforgettable adventure through Purnululu World Heritage Listed National Park. Whether you have just a single day to experience the highlights or the time to immerse yourself in the remote wilderness, you’ll see more, do more and take home more memories with a East Kimberley Tour. Taking to the skies is the best way to appreciate the size and geological significance of the Bungle Bungle Range and its surrounds. 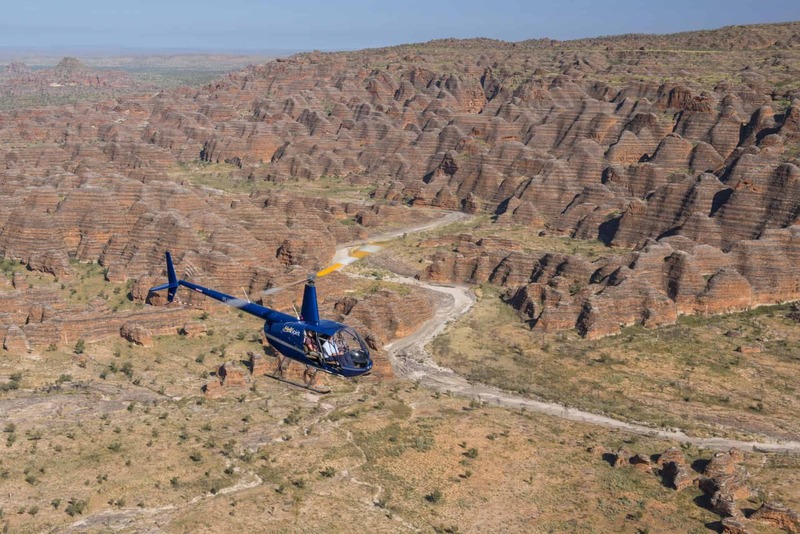 By working with local aviation companies East Kimberley Tours is able to incorporate a bird’s eye view into every tour. Each of the tours departing Kununurra begins with a spectacular flight over the magnificent Ord River, the enormous Lake Argyle, Lissadell and Texas Downs Stations, the rugged Osmand Ranges and the imposing Bungle Bungle Range. The return flight offers airal views of Argyle Diamond Mine, Carr Boyd and Ragged Ranges. Those starting their tour at Warmun will explore the park from above in a HeliSpirit helicopter. The journey includes incredible views of the beehive-shaped rock formations, deep crevasses and gorges lined with palm trees. It also takes in the red rock gorges of the northern end of the Bungle Bungle Range, Piccaninny Gorge and Creek, Deep Gorge and Y Gorge. 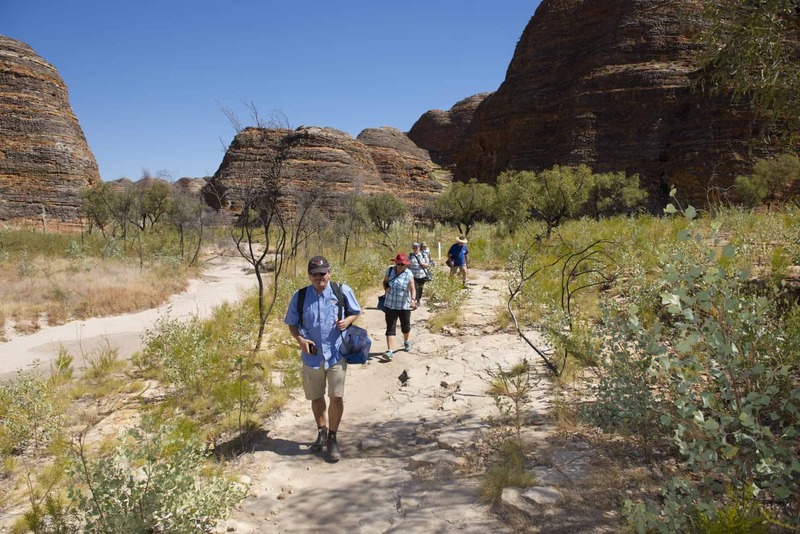 To really get to grips with Purnululu you need to lace up your walking shoes. There are plenty of walks in the park varying in length and difficulty. East Kimberley Tours has handpicked the best, with two – Beehive Domes and Cathedral Gorge – included in every tour. The domes trail is a short walk with a big impact. It reveals details about the enormous orange and black striped domes not visible from the air and allows you to soak up the magic of the ancient landscape. It’s closely followed in popularity by the 3km hike to Cathedral Gorge. This huge, natural amphitheatre was carved from sandstone by pounding water during countless wet seasons. It boasts superb acoustics and is the perfect place to pause for lunch. Exploring the northern end of the park requires a little more time. East Kimberley Tours has a number of guided options that include accommodation and 4WD and walking tours of the signature attractions beyond the Bungle Bungle Range. 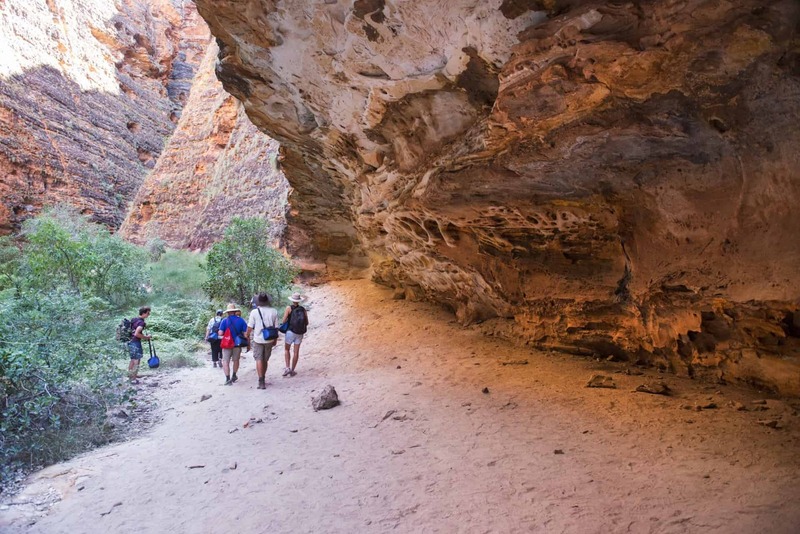 Echidna Chasm is the best known and has special significance for the Wainwrights. Paul and Bob discovered it when they first explored the park in the early 80s. Its sheer rock walls tower hundreds of metres on either side with just a sliver of blue sky visible at the very top. There’s also the 5km return hike to Mini Palms Gorge, over loose river rocks into a narrow gorge filled with Livistona Palms. All the walks are enhanced by expert commentary and conducted at a relaxed pace, allowing time to appreciate the wildlife and native plants within the park. It would be a shame to come so far without watching the sun set over the Kimberley’s vast wilderness at least once. You can extend your adventure with East Kimberley Tours by choosing guided tours with one or two night stays at the Wainwright’s unique Savannah Lodge. 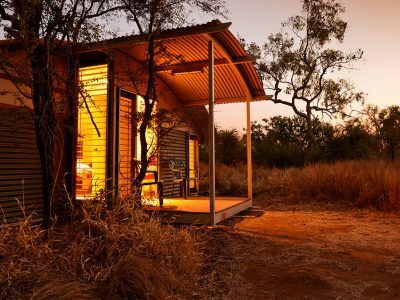 The safari style cabins are located within the heart of the Bungle Bungle and include comfortable beds, hot showers and home cooked meals. You can also wash off the dust of the day with a dip in the swimming pool and wind down with a drink at Bungles Bar. 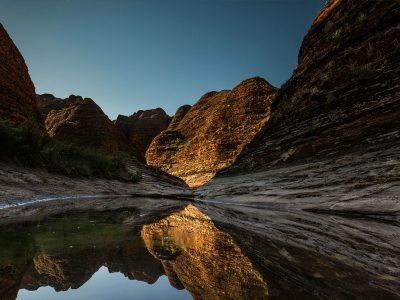 To discuss which Bungle Bungle tour is best suited to your individual requirements and for detailed itinerary information, contact East Kimberley Tours on 08 9168 2213 and get your Kimberley adventure started.